You may purchase a photo by contacting Mark using the CONTACT ME section of this website. Mark directly manages the print process with the highest quality print company to ensure quality control, color management, and uses large photo files to ensure that a purchaser receives only the finest art piece that will be long lasting and beautiful. Pricing is dependent on the image selected, size, and medium on which the picture is printed. Images are available as enlargements and may be printed on acrylic, metal, or high quality, archival photo paper, and all come numbered, discreetly signed, and with a certificate of authenticity. Mark is a multi-award winning fine art photographer whose specialties are landscape, nature, and outdoor group portrait photographs. His passion is particularly for making ocean scenes, depictions of the Southwest, and long exposure images. Mark invites you to view his photographic art and hopes you will be inspired by the astounding serenity and enrichment depicted in his images. In a long standing professional career, Mark was a city manager in California. 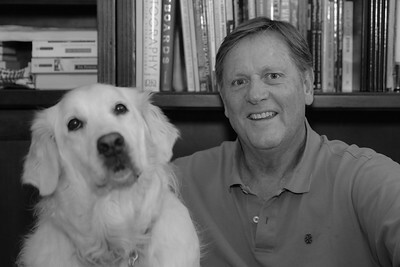 Mark resides in San Diego with his wife Patty and constant companion, Kona, the white golden retriever. He is the proud father of two adult daughters and a grandfather to one awesome little man . Thank you for taking the time to view this art.